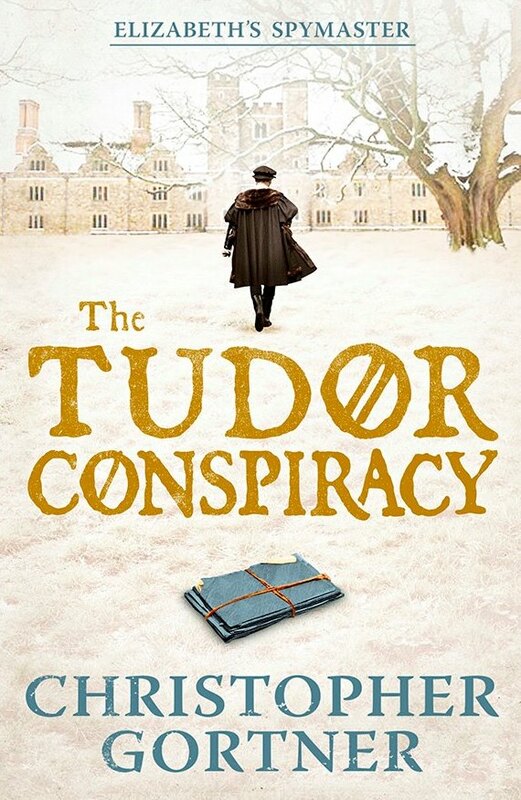 The Tudor Conspiracy is the second book in C.W. Gortner's Spymaster Chronicles series. Brendan Prescott is caught between trying to show loyalty to Princess Elizabeth and trying to stay alive with Queen Mary. His mission is to help hide a letter of Elizabeth's that may potentially have her arrested or killed as part of a treason plot against Mary. His comings and goings between the two women are made difficult because of a shady ambassador and a beautiful woman (isn't there always) who may or may not be all that she seems (....but isn't there always?). Brendan himself has secret ties to the royal family and struggles to keep his true self out of harm's way. Perhaps me not reading the first book in the series is the reason for feeling a little disconnected from the characters. It would probably help if you read the first book of the series, The Tudor Secret, before reading this one. I think I was missing a large plot piece in this book: how was Brendan involved with the Dudleys and why do they hate him so much now? There were a lot of characters that I think were in the first book and got some good development, yet here fell a little flat without knowing their backstories. Elizabeth, one of my favorite historical women, didn’t seem that interesting to me, yet I loved the portrayal of Queen Mary. She was still a bit crazy, but she’s very sympathetic and seems simply misguided and lonely. I thoroughly enjoyed having a male narrator. I made a mental list of the fiction books I've read this year so far (81), and except for Fight Club, a John Green book, and Harry Potter, NONE of them have had a male narrator or main character. My two favorite genres, historical fiction and YA, seem to be severely lacking in attempts to get into the male brain. This fact made The Tudor Conspiracy so refreshing, though I did quite miss detailed descriptions of the women's dresses, as are usual in historical fictions! I really loved C.W. Gortner’s other book on Queen Isabella of Castile and enjoyed his writing style; this carried over to his recent book as well. Even though I felt disconnected from the characters (perhaps my own fault) I still thought the story was an interesting ride overall! I am able to giveaway my copy of the book (I simply can't keep books anymore) to one of you readers! Like I said earlier, try to get your hands on The Tudor Secret before reading this one. The giveaway is open to U.S. residents only and you have until July 26th. Simply leave a comment below! Good luck! I love doing cover comparisons, whether they be by county, language, or time. I received the U.S. version on the right and was constantly giggling at the determined look on the girl's face (and still wasn't sure of who she was) but I am absolutely in love with the U.K. cover! It's both mysterious and serious, two things I associated with the story. Is it just me or are all British covers usually better? I agree - I try and pick up UK versions of books I love when I travel. They always seem a little more sophisticated and a lot less cheesy! I've only gotten into historical fiction in the last couple years... I still don't read much of it, but I'm always looking for new authors to add to my TBR. I have been waiting for this one! Great review and thanks for hosting the giveaway!! Yay for male narrator! That's actually what caught my attention about this book. I like the British cover better as well! Historical fiction was not a category I thought I would enjoy reading so I never picked it up until this year I read Grave Mercy and loved it. I need to read more historical fiction. It's great to hear about more goods books in this category. Oh wow! I'm ALWAYS on the lookout for good Tudor reads. I'm OBSESSED with Elizabeth I! I will definitely have to check out this series. This looks fantastic. I'm so excited to watch The White Queen on Starz in August! This looks amazing. Getting the first book now. thanks for the giveaway, I am succumbing! thank you for the giveaway!! i'll gladly take this book off your hands!!! LOL!!! Not sure if my comment went through or not. My internet went funky earlier. This sounds like a fantastic read. I love all things Tudor. I'm obsessed with Elizabeth I! It'll definitely be interesting to read from a male perspective in this era. I agree, the UK cover is much better! I mean, I like the US one, but the mystery is really there on the other! Thanks for the chance to win a copy of this one! Great Review. 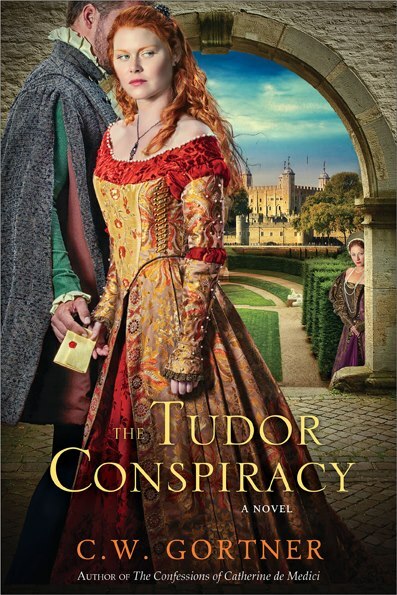 I love historical fiction and the Tudor-era is fascinating! I'm obsessed with Elizabethan England and anything with the Tudor family. Historical fiction is one of my guilty pleasures. Would love to read this series! Sounds like a very interesting book. I actually like the US cover better, but that's just me. Please enter me. Thanks!